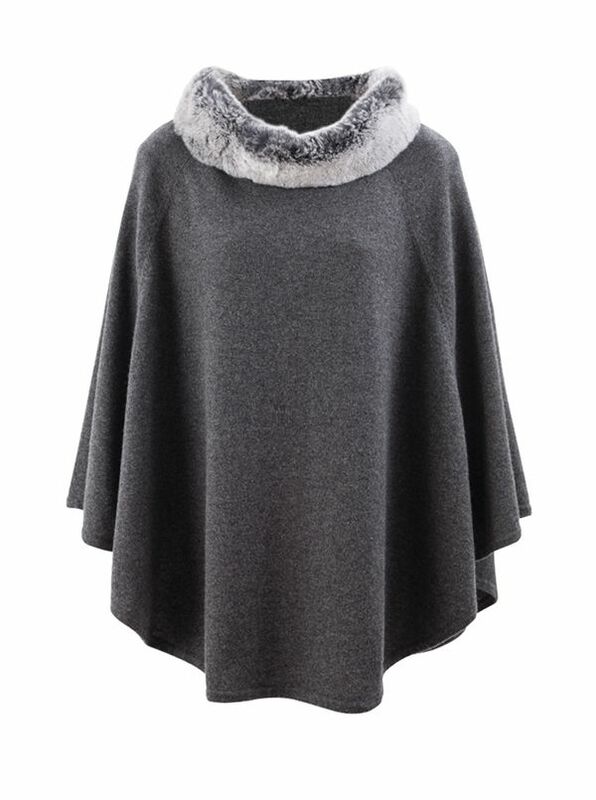 Cashmere Poncho with genuine rabbit fur collar, is a study in understated luxe. 100% cashmere. Charcoal. One size.